New Zealand farmers are facing some serious business challenges, with the potential for their cash-flow to be hit – and hit hard. Canstar looks at how Bank of the Year – Agribusiness, ANZ, is supporting farmers affected by the outbreak of infectious bacterial disease Mycoplasma Bovis (M Bovis), as well as other pressures on their business. In December 2017, M Bovis was discovered on a farm near Hastings. Since then, there are a total of around 40 properties with confirmed infection, and potentially up to 70 more, with hundreds more being tested, at the time of writing (late May). Some New Zealand farmers are concerned that share-milking would die if the disease continued to spread. Share-milkers own the cows, but they don’t own the land. 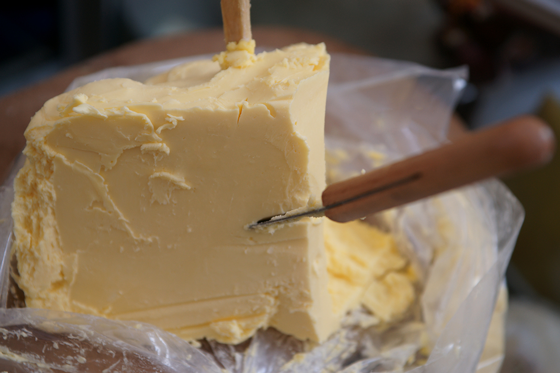 On 28 May 2018, the Government signed off on a controversial plan to kill 150,000 cows, in a bid to eradicate the disease in New Zealand. The eradication plan is forecast to cost the Government and industry bodies around $886 million. 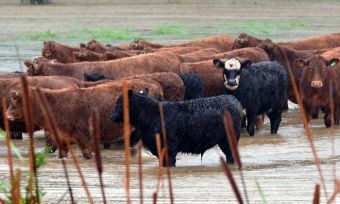 “Speaking with affected farmers in recent weeks it is obvious that this [Mycoplasma Bovis] has taken a toll but standing back and allowing the disease to spread would simply create more anxiety for all farmers,” prime minister Jacinda Ardern said in the announcement. At it’s 30 May media conference on the Financial Stability Report, the Reserve Bank cited M Bovis as an “emerging risk”. The report had been prepared before the Government’s eradication announcement. 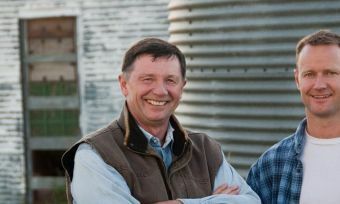 Governor Adrian Orr said a few farms are highly vulnerable, and that business pressures can all add up. On 31 May, ANZ launched an assistance package to help farmers with M Bovis-affected cattle meet their short-term cash-flow requirements, an to re-establish their herds. Additionally, ANZ made a $20,000 donation to the Rural Support Trust, to support its work with local farmers. 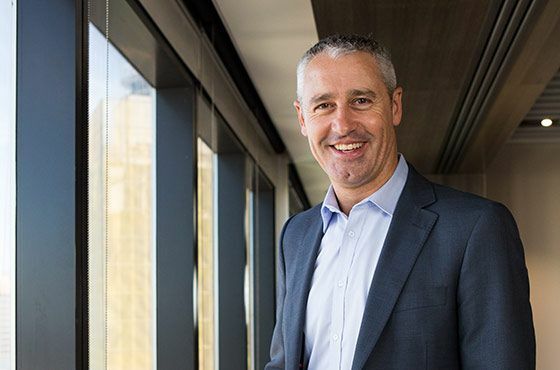 “We know this is a distressing time for those affected by Mycoplasma Bovis and it is important we play a role in supporting customers through this,” ANZ Bank managing director commercial and agri, Mark Hiddleston, says in the release. “At the farm gate, the national priority is to ensure that individual farms and the entire rural community work through the impacts of the outbreak, and collectively we restore New Zealand farms,” Mr Hiddleston says. The M Bovis cases also follow many months of pressure on dairy prices. There has also been a growing focus on moving farms toward sustainable practices, adding further pressure and potential cost. “The dairy faming sector remains highly indebted,” the Reserve Bank of New Zealand says in its 30 May Financial Stability Report. “Most dairy farms are currently cash-flow positive but remain vulnerable to any possible downturn in dairy prices and agriculture shocks,” RBNZ says. In 2018, Canstar researched and rated four providers for the annual Canstar Bank of the Year – Agribusiness award. For the seventh year in a row, ANZ is the award winner. How does ANZ support farmers during natural disasters? ANZ offers a range of services for its farming customers, including for when the going gets tough. For example, ANZ provides relief packages to its customers to help deal with the aftermath of natural disasters, In April, ANZ launched a relief package for customers who were affected by the North Island flooding following Cyclone Debbie. The support package included providing overdraft facilities, and waiving fees linked to restructuring business loans. “For an agribusiness customer, this sort of support in a time of need can make a huge difference,” Canstar New Zealand general manager Jose George says. What support is available for creating sustainable farming? Through its Environmental Loan, ANZ also offers additional support to farmers moving towards more environmentally sustainable practices. At the time of writing, ANZ’s Environmental is at a 4.05% per annum floating rate, and is available for up to $300,000, with no loan establishment fees. “This-well priced loan is made available to farmers who want to invest in lowering their environment footprint, whether that be through effluent management, conservation or environment management initiatives,” Mr George says. How can farmers see how their business compares with their peers? ANZ also helps its agribusiness customers to see how they measure up against other businesses, with an extensive benchmarking service. 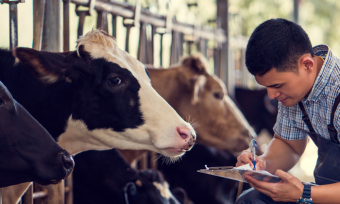 ANZ is proactive in this area and is currently working with DairyBase to develop industry benchmarking tools, to develop industry benchmarking tools to help dairy farmers improve business productivity. ANZ’s business specialists can also provide further information on commercial benchmarking.